The Daphne gown is a showstopper with its lace bodice, plunging neckline and full skirt this gown is perfect for a Fall vineyard style wedding. We love the romantic details this gown offers in the lace pattern and the way the lace drapes off the shoulder. This would be a perfect dress for a local bride getting married at Delmonaco Winery in Baxter or The Meadows in Monterey. We imagine this wedding to be in early Fall when you could still enjoy an outdoor ceremony near the vineyard. 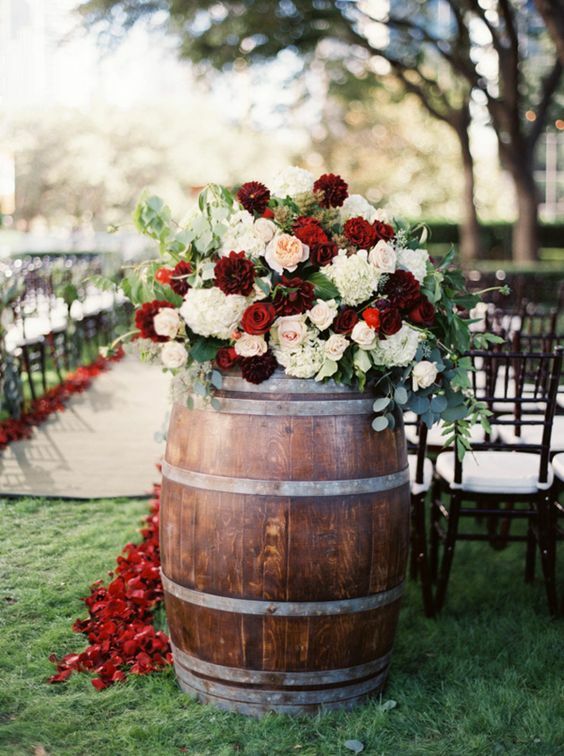 The details for this wedding would be barrels and crates while the color palette would be inspired by wines so you could do everything from cream, rose, red, and burgundy. After your ceremony, you could arrange a cocktail hour outside as the sun sets. Following sunset, you and your guests would come inside the venue for a sit down meal. We love the idea of doing long farmhouse style tables with minimal decor maybe a runner and some greenery. Bouquets are one of our favorite things, and we are loving the colors in this one. We also love how it pairs well with the groom’s blue tuxedo. This tuxedo is very similar to our Cornflower Allure Men’s Tux, and it would be the perfect compliment to the Daphne gown. Interested in trying on this Calla Blanche gown or scheduling an appointment for tuxedo rentals? If you follow us on Instagram, you have probably seen us share about a new bridal line coming to Hello Honey Bridal this spring, Calla Blanche. As our gowns start to come in, we thought it would be fun to plan a dream wedding based around each of our favorite Calla Blanche gowns! Let’s start with the gorgeous Brianna gown which features lace and beading detail on an illusion bodice cascading into a chiffon skirt with a train for days. This gown screams outdoor summer garden wedding. 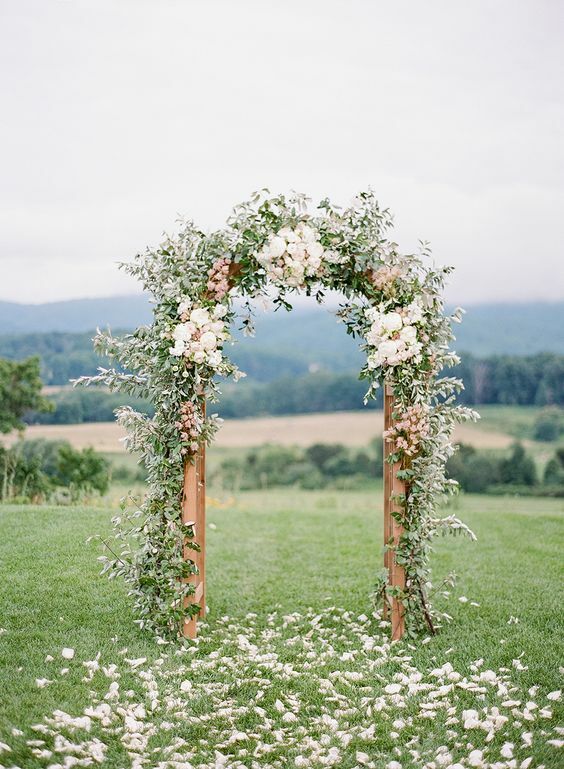 We love pops of pinks, creams and greenery for this wedding. The lace and beading details in the bodice of this gown would be beautiful among all the greenery and flowers. Next we pulled together some of our favorite detail photos to showcase how the decor and props would play into the overall theme. 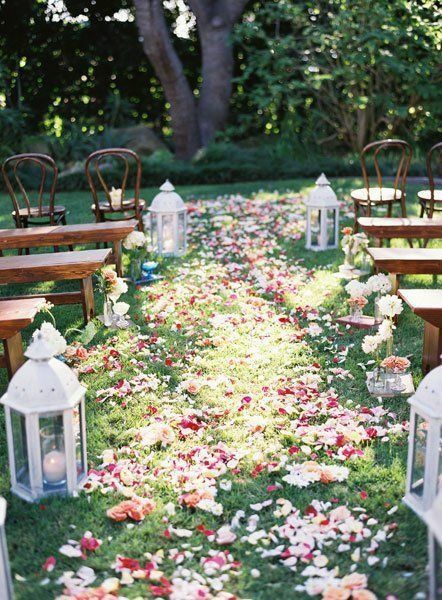 It is important to stay with organic shapes and colors when decorating a garden wedding. 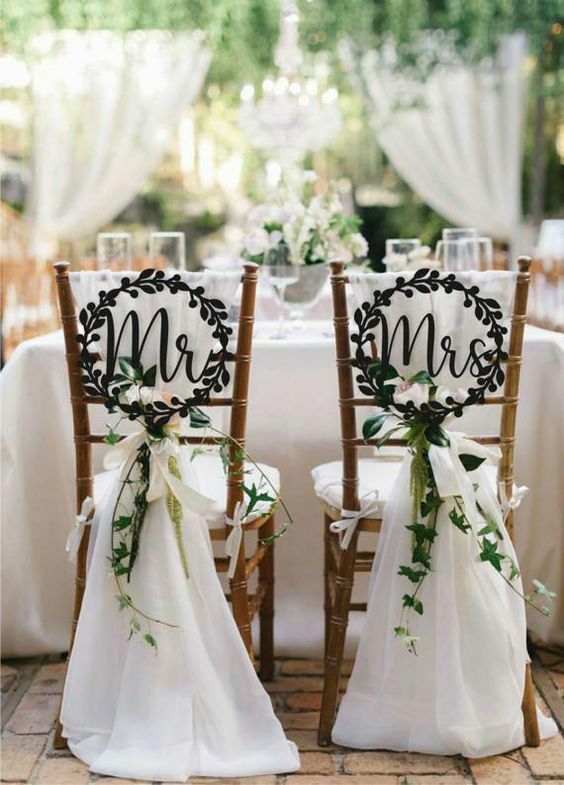 You want to also keep in mind that less is more in this type of wedding. 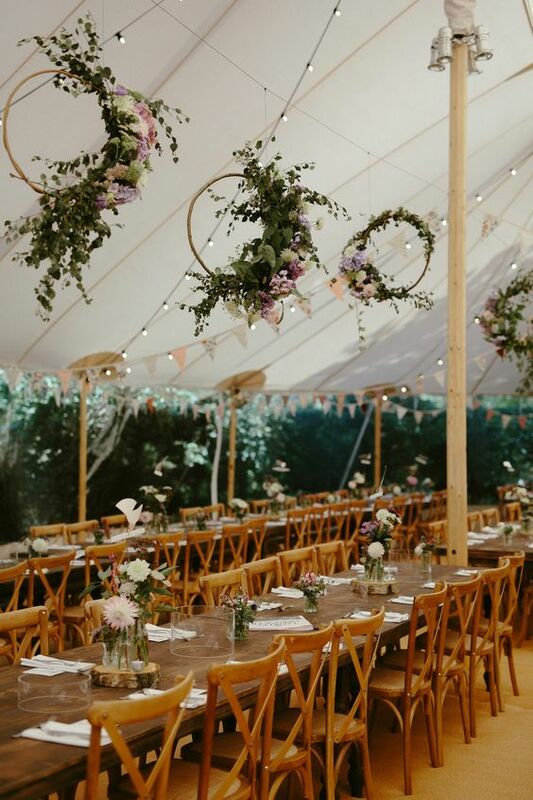 Simple details can go a long way in a garden wedding. 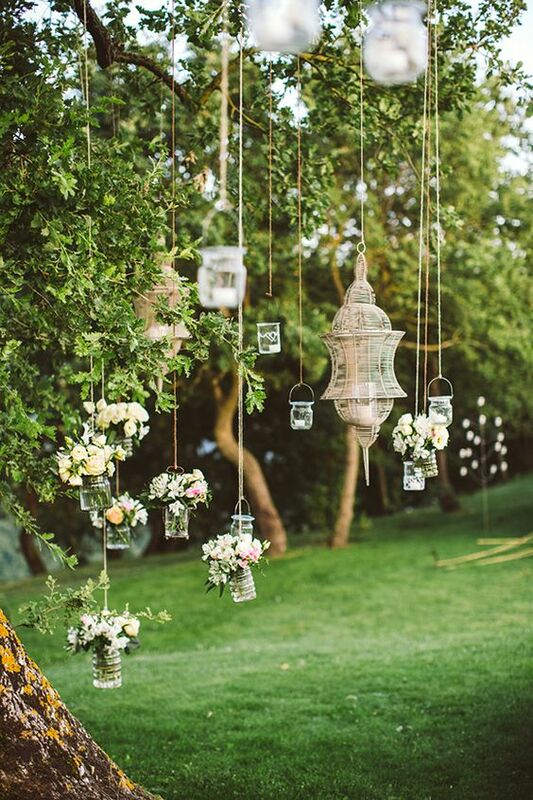 If you want to create drama, cluster small pieces together like hanging vases and lanterns from a tree. Lastly, everyone’s favorite, the CAKE! You could really go two ways with the cake for a wedding like this. Both of these options are simple, but the naked cake adds a little more of a rustic touch to the wedding while the first cake mimics the simplicity of the bridal gown through its simple design and floral details. Interested in trying on this Calla Blanche gown? Schedule your appointment with us today! Use our code in the photo for a special discount on the entire site!